NEW! 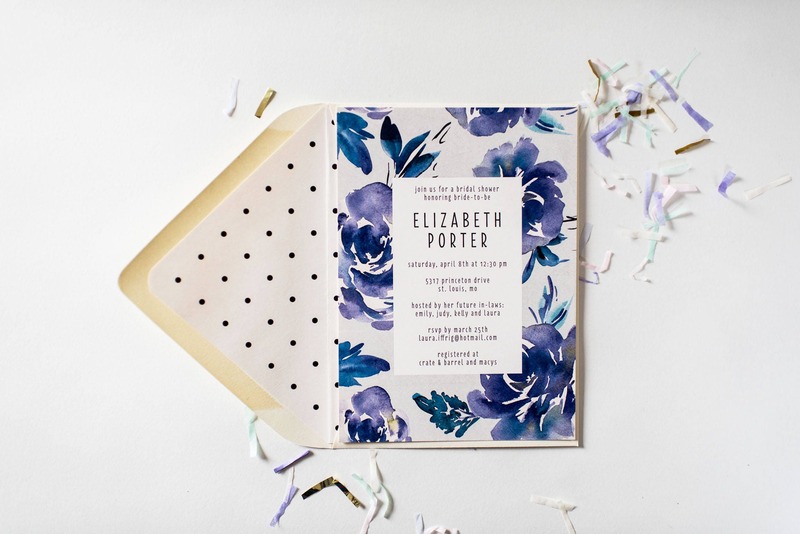 Shower invites are 5x7" (A7) flat cards and are digitally printed on premium 110 lb. 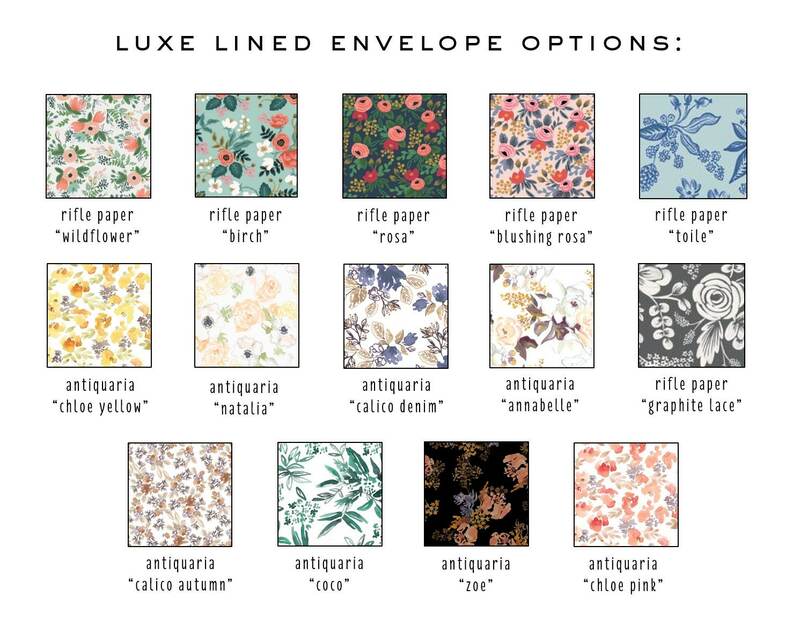 ivory cardstock. 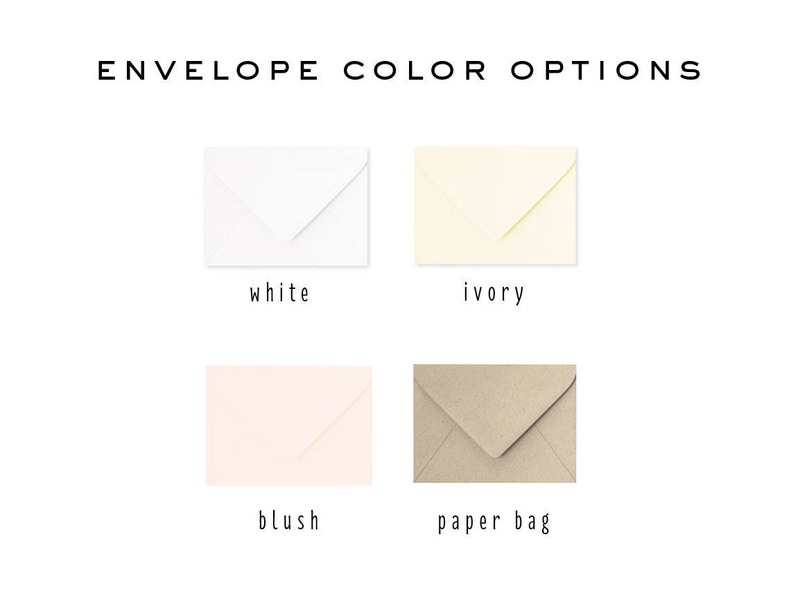 When white envelopes are selected, matching white cardstock will be used. 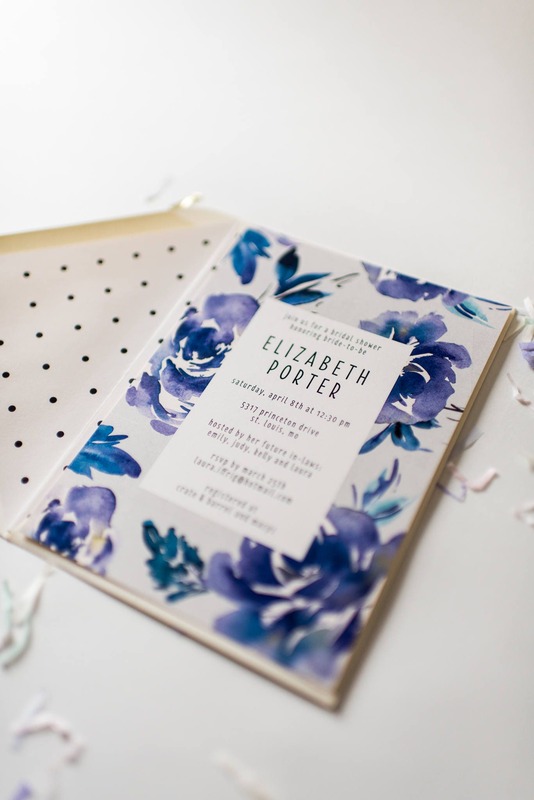 They are sold in sets of 10. 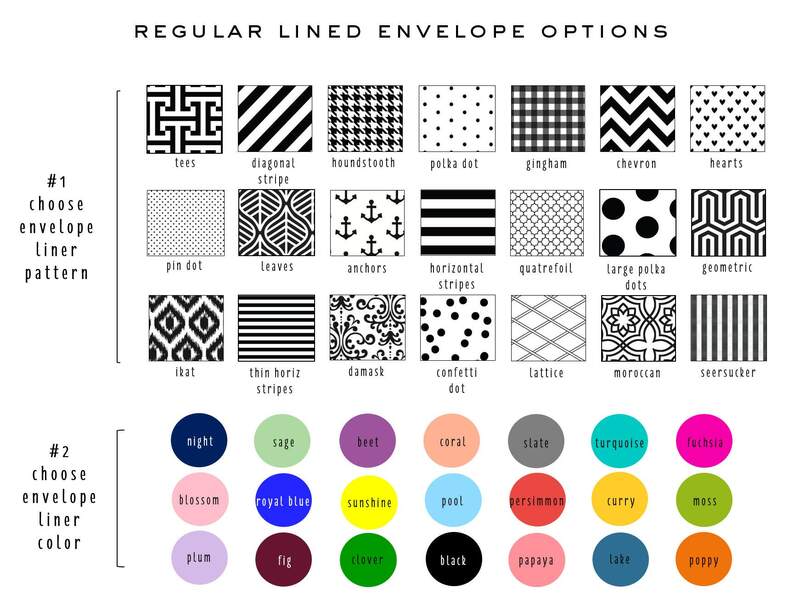 If you select "lined envelope", you can choose from any of the liners shown. 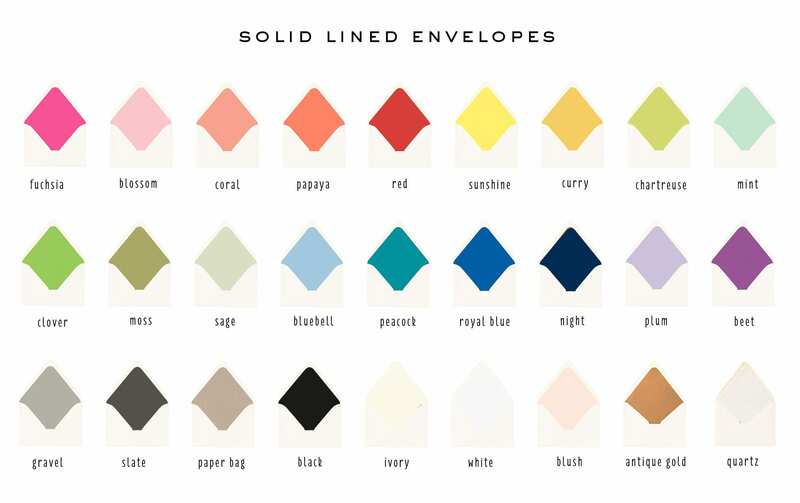 In addition, you can choose from any of the envelope colors shown on the last slide. 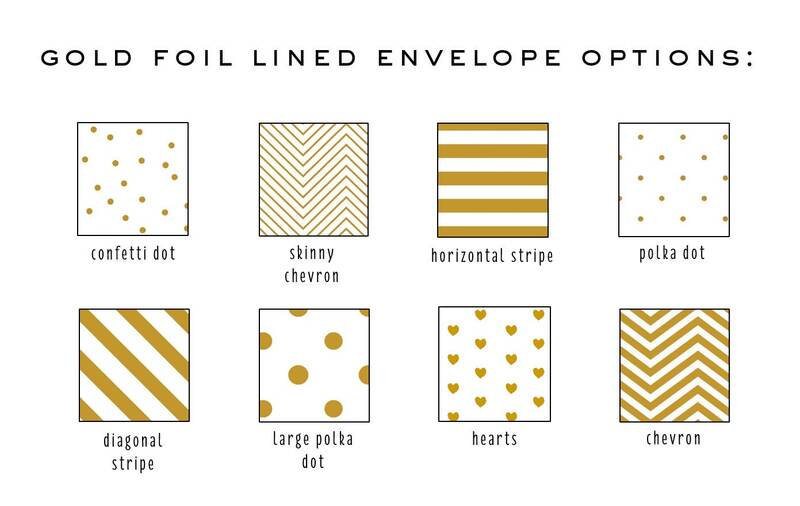 The sample is shown in ivory with an ivory envelope and black polka dot liner (regular lined env.) My company name is finely printed on the back.